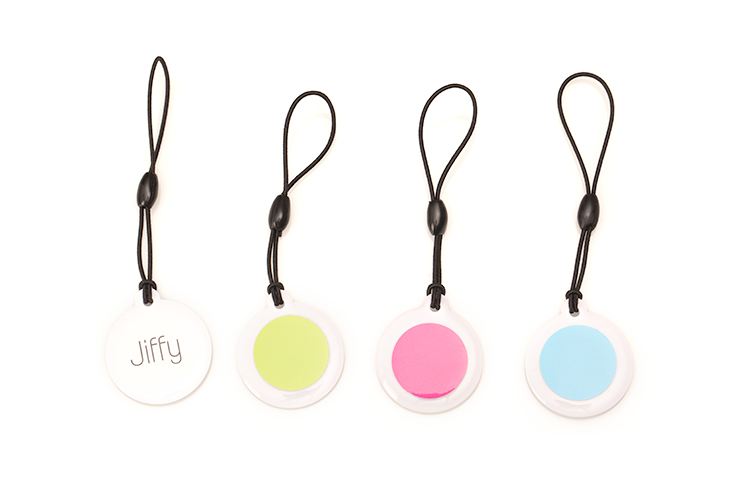 Beautiful NFC tags designed for use with Jiffy. 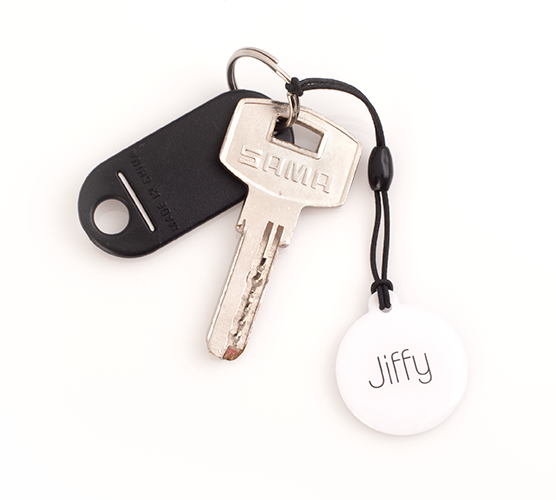 A JiffyTag is a physical item that when touched to your phone can tell it to start a project. Making your daily time tracking even easier! Link your Jiffy Tags to trigger your projects. Start and stop your time tracking, without entering the app. Visual cues to remind you. Put a sticker in your notebook and link it to the project your notebook belongs to. Put a tag on your keychain to help remember time tracking as you go to or from your office. The possibilities are endless. 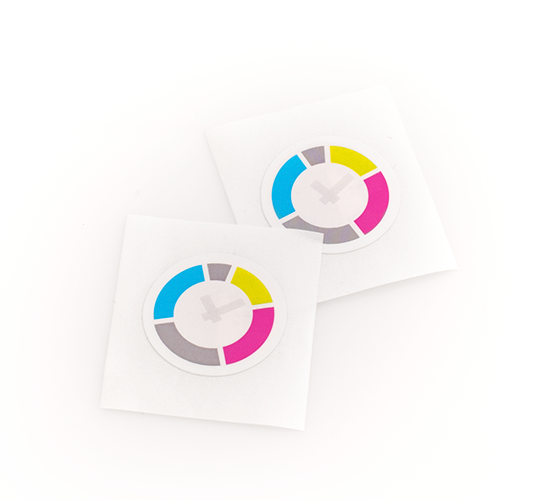 These sleek thin sticker tags are great little reminders. Stick them to things that you have close by when you work, like notebooks, folders or even on the side of the screen. Shiny, gorgeous keyfobs. 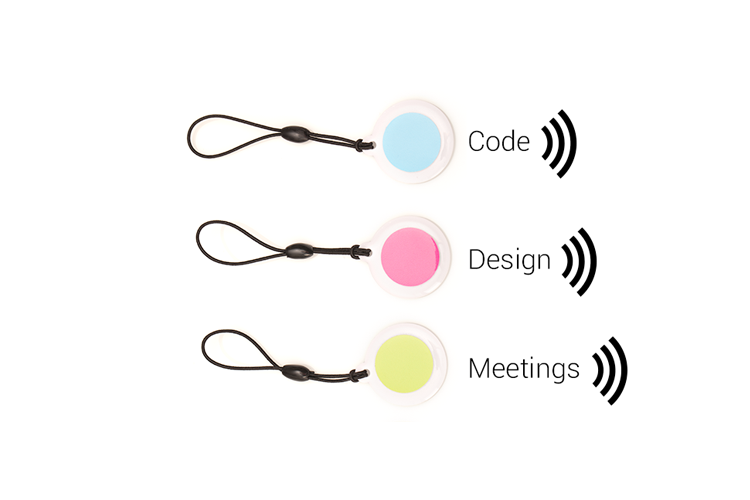 Color labels are part of our unique NFC keyfob approach. To keep track of which keyfob starts what, simply use stick the color of your project onto the keyfob.